What's that lurking in the soup? 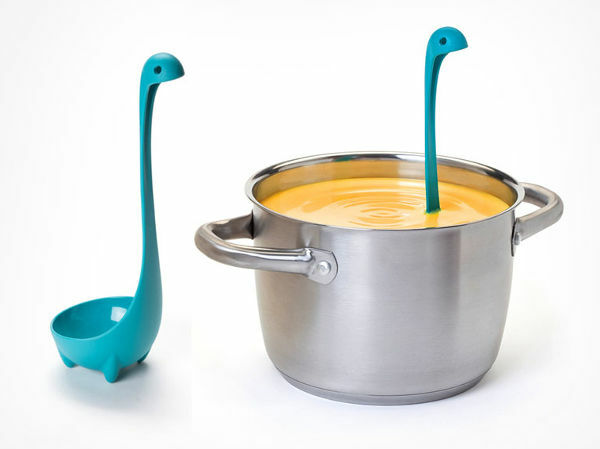 It's just a Nessie Ladle! What’s that lurking in the soup? It’s just a Nessie Ladle! When is a soup ladle not a soup ladle? When it’s the Loch Ness Monster, of course! Food should be fun – especially when it comes to kids. We just love this cute critter, who gives simple soup a lift – literally! 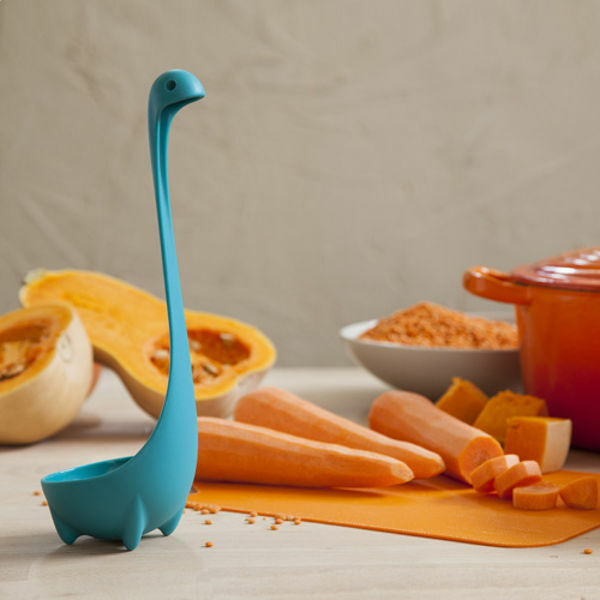 The Ototo Nessie Ladle is pretty self-explanatory. Yes, it’s a soup ladle. But to kids, it’s a creature of the deep. Don’t believe in Nessie? What’s not to believe – there she is poking her head out of the soup dish. Made from toughened nylon, the Nessie Ladle has proved so popular, it’s sold out, with stock not available until late May. You can register your interest in purchasing a Nessie Ladle with Animi Causa – it costs US$15.99, with free worldwide shipping.